The traditional Khaki uniform of the AP Police department will be changing to blue, as per instructions from Chief Minister N. Chandrababu Naidu who believes in "friendly policing" and who is following the example of foreign countries. 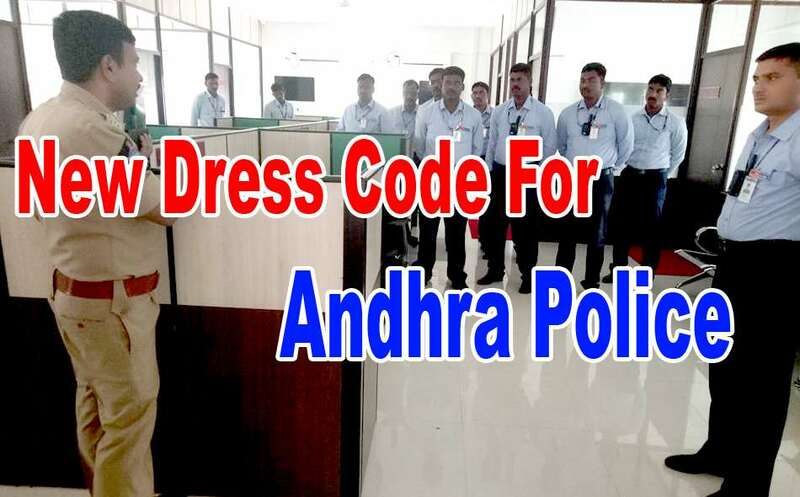 In addition to the establishment of a new capital, Amaravati, he wants to bring about changes in the traditional khaki dress code of AP police. The first online modern model police stations of AP at Guntur and Nagaraimpalem, are inaugurated on Monday, February 6th. The cops looked like corporate guys with their "I am a cop" radium plates. The policemen Will also be wearing "Body Worn" cameras to record the statements of Victims and Other activities. said the police department is adopting 'public friendly' policing with the latest technology and this new uniform would create good public relations. He said that, CM wanted to change the police image and instructed that their behaviour should be polite and friendly with the public.